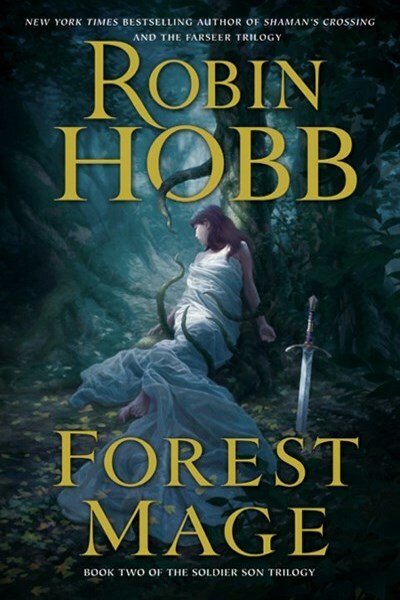 Forest Mage is the second novel in Robin Hobb's Soldier Son Trilogy. 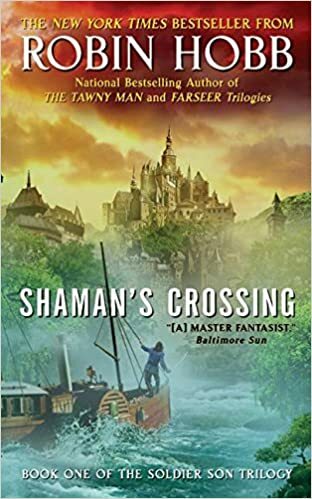 Other books in the series include Shaman's Crossing and Renegade's Magic. The original cover for this book (no longer displayed) was important, I thought, because, more than any other cover I've seen for this series, it symbolized what the Soldier Son Trilogy is all about. You have a man--a cavalry soldier--sword drawn, facing the mists of the forest and the ominous mountains beyond. There is fire, carnage, and an overwhelming feeling that something is out there. Is it coming? Is it waiting for our cavalryman's charge? We don't know, but clearly the man senses the danger he's in else his sword would not be drawn. The soldier, of course, represents Nevare. I say "represents" because Nevare never becomes that man--that soldier--shown on the cover. Something happens to him, something that was begun in Shaman's Crossing that spills over here. He never becomes the Soldier Son he was supposed to be. Instead, he changes in ways I won't report here least it take something away from your own reading. Suffice to say bad things happen. He's in a sorry state. Yet he battles on, searching for a solution to a dilemma begun in book one which has taken everything from him but his life. Even that, however, might be forfeit if he doesn't come to terms with who and what he has become. 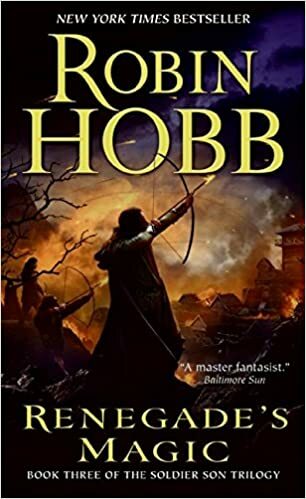 Again, Hobb draws us in with her masterful storytelling. I honestly felt for Nevare's misfortune and kept turning the pages because I wanted to see him succeed. Sad to say, he doesn't. Not in the way we hope, anyway. 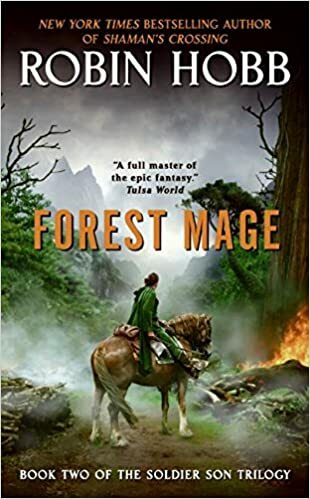 Forest Mage, like any middle volume, is a bridge between book's one and two, though it does wrap up a good part of Nevare's misfortune (and one of his lives--read the book to understand that!) and sets him on the road to finality as told in Renegade's Magic.